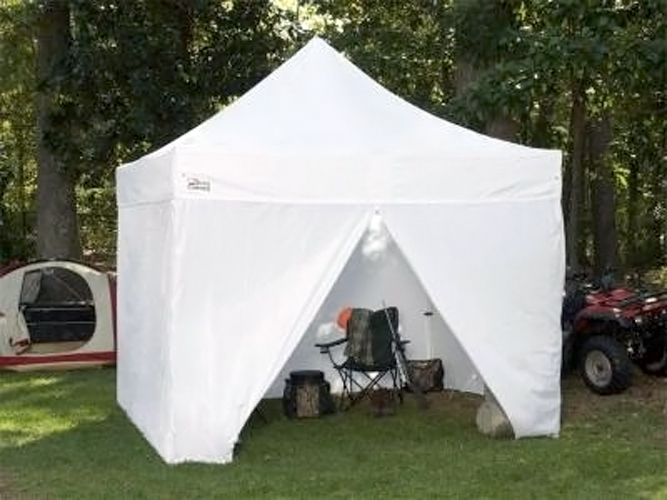 The King Canopy Tuff Tent 10' x 10' Portable Instant Canopy is a portable shelter that's light-weight, easy to move and just about the ideal shelter for picnics, family outings, camping or anywhere where a little shade is going to come in handy. The Tuff Tent has options for a complete side wall kit that allows you to enclose this portable shelter on all four sides. 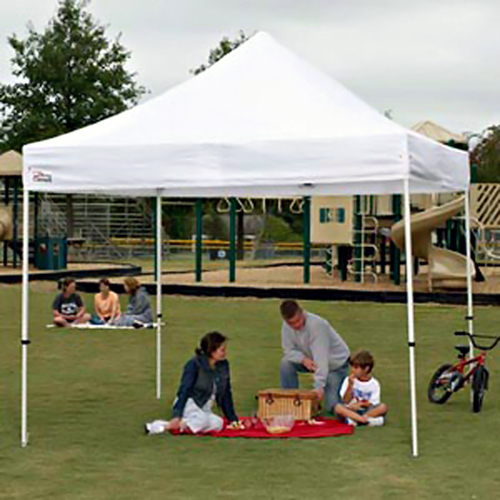 This instant canopy is a cross-over model deriving part of its features like a heavy-duty aluminum frame and 500 denier polyester top from the commercial grade canopies with the frame sizing and leg sizing more compatible with the residential models. 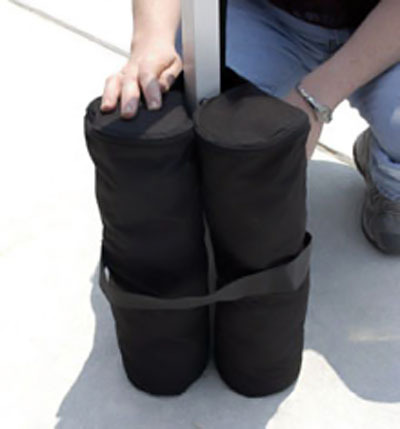 The Tuff Tent Instant Canopy frame and legs are made from heavy-duty powder-coated aluminum set square adding to overall stability and maximizing shade coverage. This King Canopy instant canopy includes everything you need to get started creating a shelter plus it includes a rolling storage bag and a four-piece anchor kit. 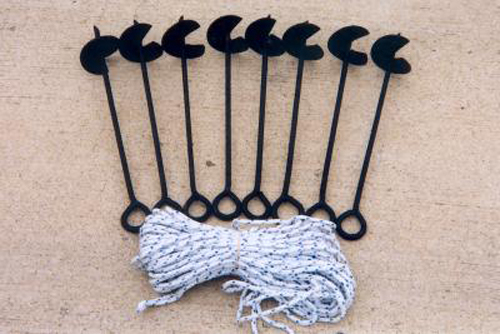 Canopy peak height of 124"
Maximum head height of 85.5"